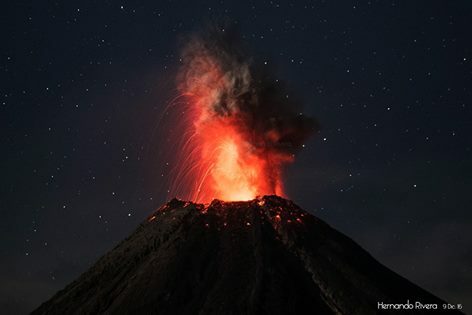 Colima volcano is one of the most active volcanoes in North America and one of the potentially most dangerous ones. It has had more than 30 periods of eruptions since 1585, including several significant eruptions in the late 1990s. Scientific monitoring of the volcano began 20 years ago. Dominantly explosive. Construction of lava domes, vulcanian eruptions and strombolian activity. In near-constant activity since 1994. 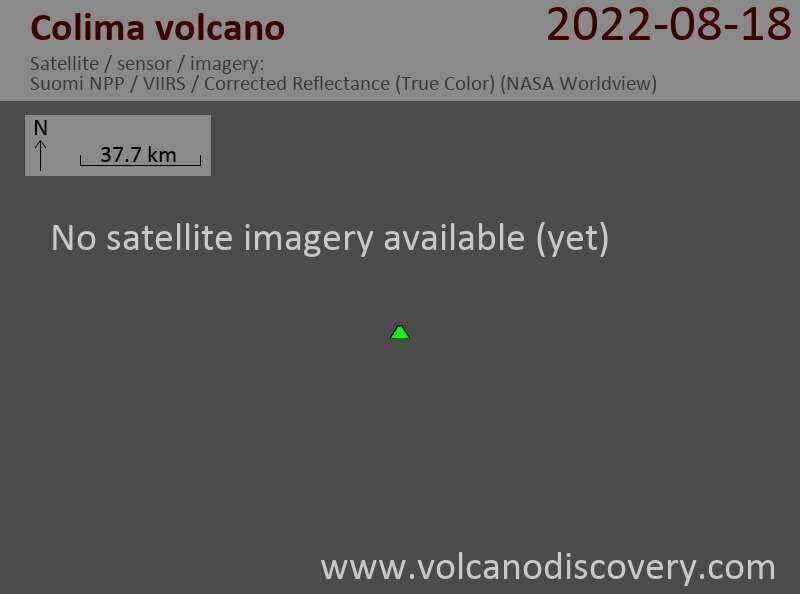 The activity of the volcano is picking up: in particular, explosions have become more frequent and gradually larger in size. The arrival of gas-rich magma seems to manifest itself in this new phase of increased explosive activity, which likely will destroy the current dome. Colima volcano Volcanic Ash Advisory: ONGOING VA EMS. Colima volcano is one of the most active in North America and one of the potentially most dangerous ones. It has had more than 30 periods of eruptions since 1585, including several significant eruptions in the late 1990s. Scientific monitoring of the volcano began 20 years ago. The Colima volcanic complex is the most prominent volcanic center of the western Mexican Volcanic Belt. It consists of two southward-younging volcanoes, Nevado de Colima (the 4320 m high point of the complex) on the north and the 3850-m-high historically active Volcán de Colima at the south. A group of cinder cones of probable late-Pleistocene age is located on the floor of the Colima graben west and east of the Colima complex. Volcán de Colima (also known as Volcán Fuego) is a youthful stratovolcano constructed within a 5-km-wide caldera, breached to the south, that has been the source of large debris avalanches. Major slope failures have occurred repeatedly from both the Nevado and Colima cones, and have produced a thick apron of debris-avalanche deposits on three sides of the complex. Frequent historical eruptions date back to the 16th century. Occasional major explosive eruptions (most recently in 1913) have destroyed the summit and left a deep, steep-sided crater that was slowly refilled and then overtopped by lava dome growth.